You can tell a Scotchgard® treated carpet because stains don’t get sucked into the fibers before you can pick them up. They tend to bead. and sit on top of the carpet so you can quickly pick them up with a paper towel. Put simply, there is no better stain protection for your carpet than to have it professionally treated with Scotchgard® And best yet, we provide you with a one-year Scotchgard® guarantee when 4 or more rooms are treated by Snyder’s Carpet Care. Improves vacuuming – Vacuuming is more effective with Scotchgard™ Protector. Dirt is more easily picked up, animal hair less difficult to remove and fewer passes are required with the vacuum. Simplifies Cleanup of Spills – Scotchgard protector helps keep spills from becoming hard-to-remove stains. It repels liquids so they can be blotted up quickly and easily before they soak into carpet fibers or sink deeply into the carpet base. Professional applications applied immediately after cleaning will help keep your carpets looking bright, freshly cleaned and spotless longer. 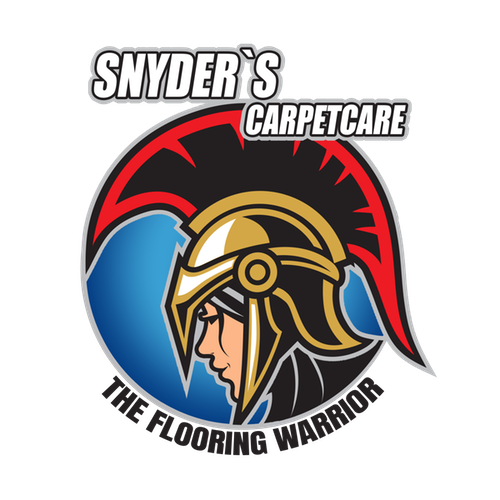 After Snyder’s Carpet Care has treated your carpets please wait until it has dried properly before walking on the carpet or sitting on upholstery and yes, that includes Fido the dog and Mittens the cat. We suggest you go shopping, visit the dog park and run some errands so you can allow from 10-12 hours for the application to fully set in and dry.If you must walk on the carpet, please be sure you wear slippers or clean shoes and please do not walk on the carpet with bare feet. Keep children and pets off the carpet and upholstery until they have thoroughly dried. If the weather is temperate open the windows to provide fresh air. Turn ceiling fans or the house fan. After the carpet and upholstery have dried, daily and weekly vacuuming helps to keep dirt from accumulating and working down deep into the carpet. Each week you should vacuum the entire carpet, moving furniture that is easy to move and vacuuming under it. How Safe is Scotchgard Protector™ for adults, children and pets? Scotchgard® products manufactured by 3M (Minnesota Mining and Manufacturing Co., Inc.) have been thoroughly tested and are safe for their intended use. Scotchgard protector products do not use, contain, or degrade to PFOA or PFOS (known carcinogens and toxins which may be contained in competitive products, especially those imported from China where these chemicals are still produced) . All materials in Scotchgard Protectors™ used are deemed acceptable for sales by the United States Environmental Protection Agency and other environmental agencies around the world. What if I get spills and stains after my Scotchgard application? Greasy – Butter, Salad Dressing, Oil, Hair Oil Use a solvent spot cleaner like Energine® Spot Remover or a powdery cleaner like K2R® Spot-lifter. Carefully follow the directions on the label. Always apply cleaning solution to a small inconspicuous area of carpet or upholstery, blot with a white cloth and check for color transfer before using. If color transfer occurs, the carpet or upholstery in not colorfast and the treatment should not be used. If the material is solid scrape up what you can with a spoon or the dull edge of a knife or spatula. Always work from the outside of the spill toward the center to keep the spill contained. Wipe area gently working from the outer edge to the center of the spot. Turn the cloth frequently so it is always clean, and do not get the carpet or upholstery excessively wet. Repeat this process until the spot is removed. Dry the carpet or upholstery by weighing down a half-inch pad of absorbent tissues or cloth to absorb the moisture or, circulate air with a fan. After the carpet or upholstery is dry, brush the pile up. Let dry. Then crumble and remove the excess dirt. Spot-clean as a water soluble stain. Blot up as much as possible. Next, dilute the stain by cleaning with a cloth dampened with plain water. Then clean with an acidic mixture, such as one quart water and one teaspoon white vinegar or use club soda. Wipe up as much as possible. Then use regular nail polish remover, without lanolin applying it with an eye dropper. Wait a few second, then blog with cloth. Repeat until all material is removed. If burn area is small and damage is only at top of pile, snip off charred ends with manicure scissors, then spot-clean with cleaning agent for water soluble stains. 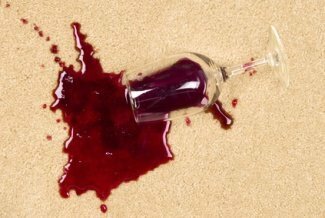 NOTE: If these procedures do not remove the stain, call a professional carpet cleaner like Snyder’s Carpet Care.